The Håksberg field consists of a mineralized area extending from Iviken at Väsman in the south to the Källbotten in the north. Between Iviken and Källbotten there is a connection on the 300 m level. The bedrock consists of alkali rich metavolcanite belonging to the leptite formation of central Sweden. Metavolcanites has, as a result of tectonization, largely converted into mica-rich and shale rocks. The bedrock is throughput of pegmatite and diabases. Iron mineralisations in the Håksberg field are quartz and skarn banded and low in phosphorus. The lengths vary from 50 meters to 800 meters while the width is between 5 and 35 meters. The average iron content of the field’s mineralization is 36 percent. Mineralisations in the Håksberg field occurs in four elongated parallel zones. The individual ore bodies have steep side dip toward the east, usually above 60 degrees. Iron oxide minerals are made up 80 percent magnetite and 20 percent hematite. 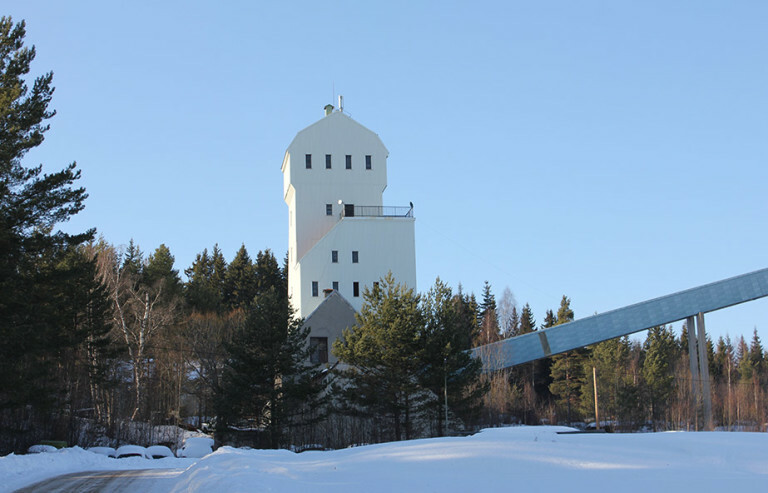 The indicated resources in Håksberg field down to 350 meters, balance has been estimated at 25 million tonnes with an average iron content of 36.5 percent. Previously completed drilling campaigns indicate that the potential for identifying additional tonnage at the depth are significant. Below the 350-meter levelling estimated mineral resources amount to 12 million tonnes with 36.5 percent iron, which is classified as adopted down to 800 meters. Minor mineralization of copper and molybdenum occur locally in the field.